Most smartphones have built-in digital music players. 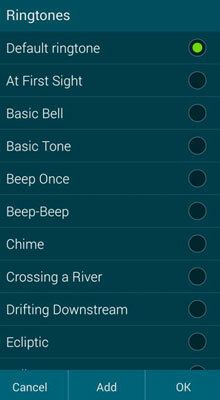 You can even use your Samsung Galaxy S 5 to personalize ringtones and alarms based on songs you have on your phone. To boot, your Galaxy S 5 phone comes with applications for downloading and listening to music as well as downloading and watching videos. These apps are very straightforward, especially if you’ve ever used a CD or a DVD player. In a sense, they’re even easier than using a VCR — no need to set the clock! 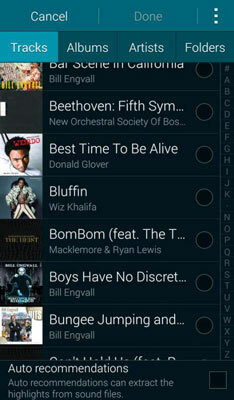 Here’s how to add a song as a ringtone or alarm on your Samsung Galaxy S 5. The first step is to open a contact. 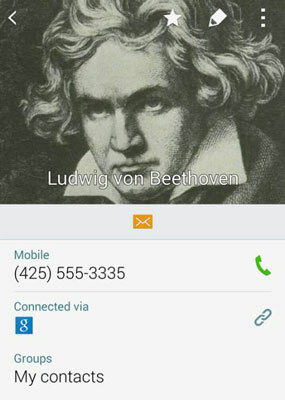 A generic contact is seen in the example. Tap the Edit icon on the contact. The contact’s edit page appears. A list of ringtones appears. You can use this list to pick the song that reminds you of the contact. 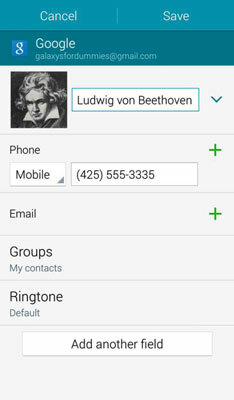 A quick scan finds that Ode to Joy is not among the options that come with your phone. Ludwig Von would not be pleased. Highlight the song you want and tap OK.
From now on, when you hear this song, you know it will be your friend Ludwig.